Most young people wonder whether they can get high on Vyvanse, and the simple answer is yes. Manufactures of the drug tried to make it difficult to abuse the drug through methods such as snorting and injecting in a bid to curb its recreational use. However, users still get the euphoric feeling once they ingest a large enough dose. Nonetheless, there are serious risks and consequences of the recreational use of lisdexamfetamine dimesylate. What Are The Reasons People Get High? How Can You Get High On Vyvanse? What Are Vyvanse High Effects? How The Drug Is Used Recreationally? Vyvanse high is the feeling of intoxication that is characterized by the abuse of lisdexamfetamine. The drug was first approved for the treatment of ADHD in 2008, but it has since increasingly been abused by people seeking an educational breakthrough, recreational purposes, and weight loss. Vyvanse recreational use produces a euphoric feeling. The drug is a stimulant and rapidly increases the production of dopamine in large quantities in the brain. But before this happens, lisdexamfetamine is converted by Trypsin in the small intestine to dextroamphetamine, a potent stimulant which is released to the bloodstream. There are a number of reasons why people abuse Vyvanse. For students in both high school and college, it may be due to peer pressure, curiosity, academic frustration or just looking for a way to have a good time. 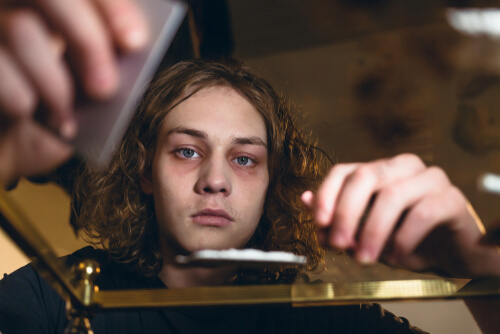 Curiosity and experimentation, however, is considered the main reason why these students try various amounts of the drug in a bid to find the Vyvanse high experience. As for adults, the primary reason they may choose to get intoxicated is the need to take the edge off and get a feeling of relaxation from their daily activities and routine. The Vyvanse doses are usually consumed orally depending on the amount that the doctor recommends in the prescription. People who abuse the drug take more than the recommended amount with the intent of getting intoxicated. However, a Vyvanse 70 mg high may not produce the desired euphoria for some people because the dosage effectiveness is different for different people. Other ways in which people have tried to get high on lisdexamfetamine is through injection or snorting. However, some say these methods are not as effective. The lisdexamfetamine euphoria is a feeling that many explain to be a bit subtle since it takes a little longer to kick in. Not only does the drug produce feelings of euphoria, but also, it has a more prolonged with an average high lasting about 10 to 14 hours. The drug also gets people motivated to achieve a particular task because of the stimulant-like effects. 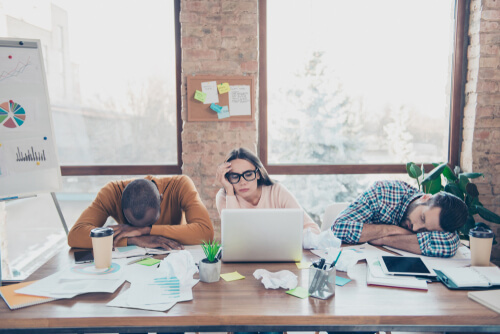 However, the feelings of motivation diminish with time leaving people with a feeling of focus and commitment which lasts a bit longer but also fades away with time. This casts all doubt aside and answers the question regarding what Vyvanse feels like. One of the most common Vyvanse effects it the dependency and addictive nature of the drug. That’s why any abuse signs should be taken seriously, and a person needs to seek professional addiction treatment immediately. Different people had different reasons why they had used recreational lisdexamfetamine dimesylate. Vyvanse recreational dosage also varies significantly from person to person. Therefore, people have to find what amount works best for them experimentally. Vyvanse street price for 50 mg Vyvanse pill is about $15 to $30 depending on a lot of other factors. This means that the drug can easily be acquired making it even worse for those who are hooked to seek help. The dosage amounts vary widely from person to person. Furthermore, people have complained of Vyvanse not working; however, lisdexamfetamine takes a bit of time to kick in because the body has to convert lisdexamfetamine into dextroamphetamine in addition to the tolerance that some may have developed towards the drug. This tolerance has lead other people to seek alternatives to Vyvanse in hope to find a suitable replacement. As part of the Vyvanse recreational tips, any amount higher than 100 mg of lisdexamfetamine is bound to get people high, but others have recommended dosages as high as 300 mg to 400 mg to achieve the desired effects. But it is recommended to know the Vyvanse overdose amount before trying to use it for recreational purposes. More so, if the victim uses a combination of Vyvanse and weed or any other commonly abused drug, these effects could be aggravated. It is entirely possible to use lisdexamfetamine recreationally. However, proper care needs to be taken to prevent addiction and minimize the risks involved. There are also various reasons why people choose to get Vyvanse high, but it is clear that the drug is commonly used by young people who want to improve on their academics. If there is dependence on the drug, it is better to seek professional help through rehabs and addiction centers early enough.